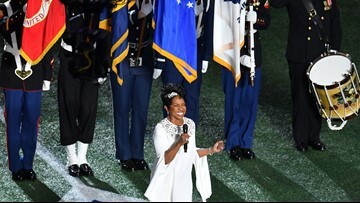 Rams cheerleader Quinton Peron smiles during Super Bowl LIII between the New England Patriots and the Los Angeles Rams at Mercedes-Benz Stadium in Atlanta, Georgia, on February 3, 2019. 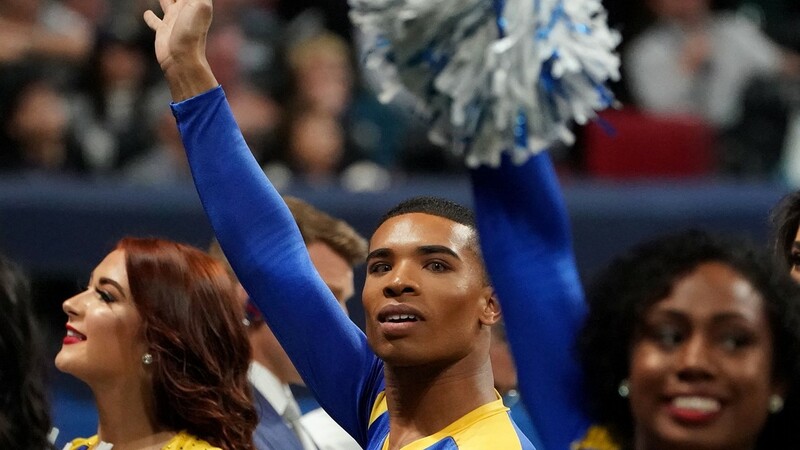 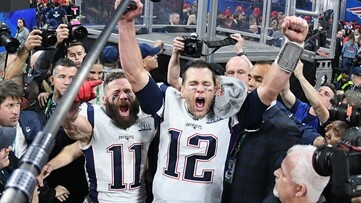 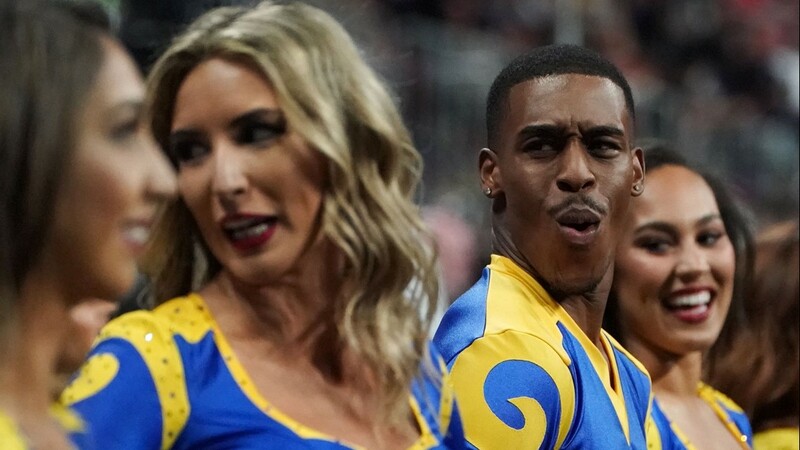 Rams cheerleader Quinton Peron reacts during Super Bowl LIII between the New England Patriots and the Los Angeles Rams at Mercedes-Benz Stadium in Atlanta, Georgia, on February 3, 2019. 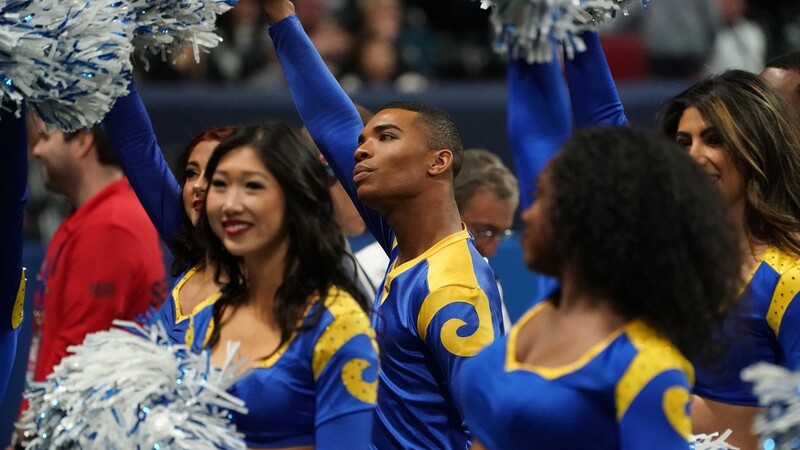 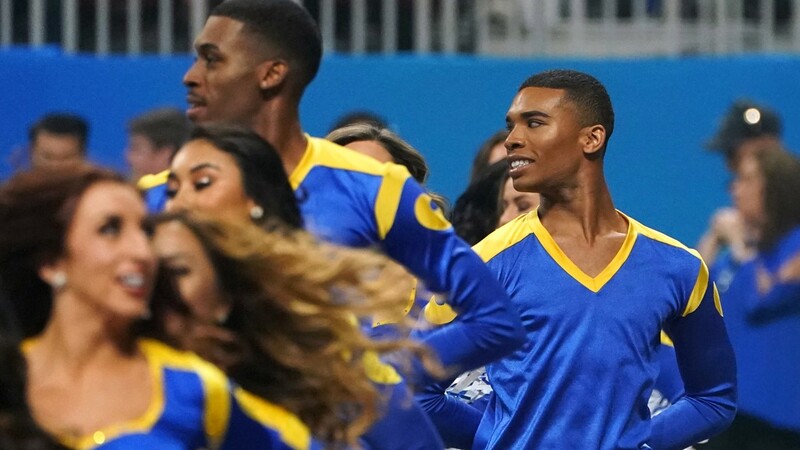 Rams cheerleader Quinton Peron (C) stands with other cheerleader during Super Bowl LIII between the New England Patriots and the Los Angeles Rams at Mercedes-Benz Stadium in Atlanta, Georgia, on February 3, 2019. 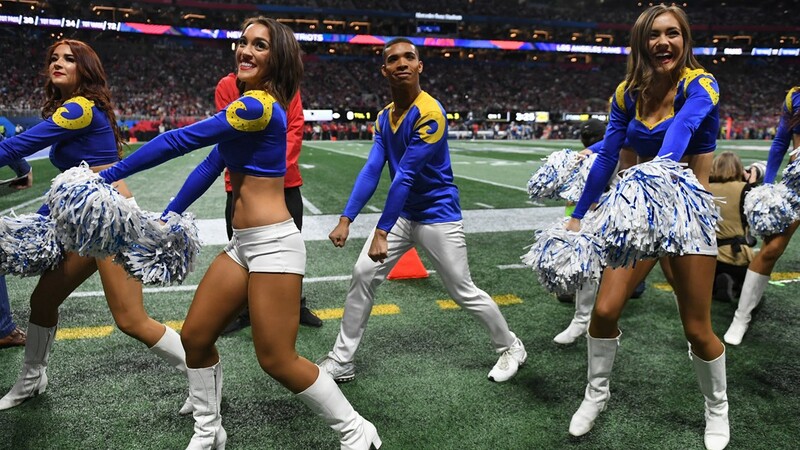 Rams cheerleader Napoleon Jinnies (C) performs with other cheerleaders during Super Bowl LIII between the New England Patriots and the Los Angeles Rams at Mercedes-Benz Stadium in Atlanta, Georgia, on February 3, 2019. 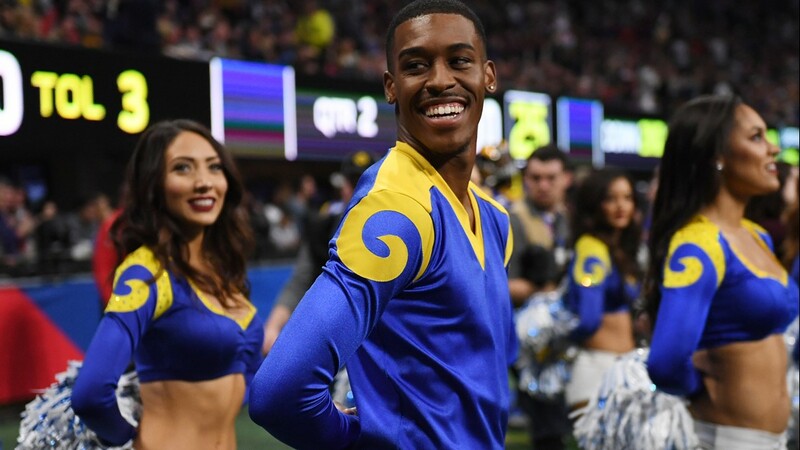 Rams cheerleaders Napoleon Jinnies (R) and Quinton Peron perform with other cheerleaders during Super Bowl LIII between the New England Patriots and the Los Angeles Rams at Mercedes-Benz Stadium in Atlanta, Georgia, on February 3, 2019.